Mr Holland, I dont think we are trying to imply that Guest Services has anything to do with WRT Group, just that Mr Ray Ingleby has, did and has now diverted our money else where. Once you start digging deep enough, you find out the truth. I have investigated Mr Inglebys co-directors and it would seem that your claims Mr Holland are fabricated. Your company was only founded in January of this year after multiple reincarnations after ensuring you did just the opposite of what you claim. It would appear from speaking to several of the insolvency practices that your incarnations DO NOT honour their obligations and liabilities. After reading a number of comments on this site I need to post this item to defend the company and to ensure that there is no confusion and to clarify that Guest Services Worldwide Ltd is in no way involved with WRT Group plc or Windsor Associates. Guest Services Worldwide Ltd is a provider of bespoke map and APP products to the hotel industry around the world and currently operate in the United States , Europe and South Africa. We work with some of the largest brands on the planet and print in excess of 7 million maps for distribution around the world. Hotel grantors contract have been purchased from other companies who had an interest in the hotel market but in every case we have fulfilled our obligation to these hotels and respective advertisers based on the contractual obligation. We currently have in excess of 5,500 advertisers around the planet and have fulfilled our contract obligation to these advertiser in every case. If clients have complaints in regards to the services provided by Guest Services Worldwide I will be more than happy to discuss these, but please be aware that any and all contact must relate to Guest Services Worldwide Ltd ONLY as we have no association with any other company. And if you look at companies house, as soon as Store Media PLC went into administration, the assets were sold to Store Media Contracts - which Ray Ingleby is now a director of. So he takes over a company after just being discharged as a personal bankrupt, closes it down, buys back the assets and then collects in the cash without having to pay for anything. FED up fighting your own battles? Then let us do it for you. The Grudge is ready to step in and sort out your grievances every Sunday in The Scottish Sun. Just let us know about an injustice, dispute, legal dilemma or any other consumer issue. And the Grudge — in association with Gildeas Solicitors, at 97-99 West Regent Street, Glasgow, G2 2BA, and online at gildeas.net — will act as JUDGE and JURY to get real justice for you. I AM a wedding hair and make-up specialist. I ran a hairdressing business for years before moving into the bridal market. I provide a bespoke styling service to ensure brides’ big days are perfect. It’s called www.thebridetobe. co.uk and is going well. One location I regularly visit for weddings is the prestigious Mar Hall, in Renfrewshire. I got a call one day from a firm called Guest Services who said they’d been commissioned to produce a wedding brochure for Mar Hall. It would be a big glossy number, distributed to future brides and would I like to advertise in it? I was invited to meet a David Shelmerdine in reception at Mar Hall last October, and this appointment was confirmed by a letter on Mar Hall headed notepaper. I met him there and it sounded a good opportunity so I paid a deposit and agreed quarterly payments of £240. But production of the brochure dragged on and every time I called I was fobbed off with some excuse. By this time I’d paid over £700 and was getting suspicious. I spoke to Mar Hall who told me they hadn’t ordered this brochure and Mr Shelmerdine was nothing to do with them. THE GRUDGE SAYS: Mr Shelmerdine’s been offering bespoke brochures to the hotel industry for years. He gives potential advertisers the impression he’s producing some glossy brochure with a hotel’s blessing. Often they know nothing about it. In 1998 he was criticised for his sales tactics by Forte Hotels. In 2009, Business Watchdog warned consumers about printing firm CMYK Ltd, where Mr Shelmerdine was a director. CMYK went into administration in 2010 with two County Court judgements against them totalling £9,176. Guest Services is Mr Shelmerdine’s new firm. We tried to call them but the numbers came up as unavailable. Tradings Standards at East Renfrewshire Council confirmed they are investigating Ms Crolla’s case. VERDICT: Watch out for this guy! Look where Ray Ingleby investments were based. What a coincidence! Is money from these Tesco and Sainsbury advertising "opportunities going there.
. AD (UK).. RAY INGLEBY seems to be involved in all these companies or the address. Lee Dixon seems to work there as well. When ever I call the girl says unfortunately the company has gone in to receivership or liquidation before I even say which company I require.The is a large number to choose from! A number you can get her on as per today is 01253 530601.It wil probably change tomorrow. The whole thing STINKS RAY INGLEBY. Starting companies, closing companies. Is he unlucky or is it fraud and he is driving around is a nice car, living in a nice house and doing great holidays off proceeds of small business owners too busy to chase him. There are loads of companies that have been promised advertising in Sainsburys and Tesco and others and have been let done. It looks like Hundreds of thousands of pounds. Ray Ingleby is currently Director of about 7 or 8 companies mainly involving the name Guest but he has now started registering them to addresses in London. Forgot to say it was for just over £600. I just phoned them and they claim they were taking payment for store media plc. I advised that it is illegal to take money on behalf of another company especially if in administration. When they called to take the money back in august they said they ere from Store media plc not a recruitment office. I have advised unless we receive a full refund we will be taking F O S B to court. I have had the same thing with our company. I was asked to pay the rest of our balance on the 20/08/13 to receive a big reduction which I did. Oddly though the company that took the money were called FYLDE OFFICE SERVICES LYTHAM ST ANN. As soon as they open I will be ringing them and paying a visit!!!!!! 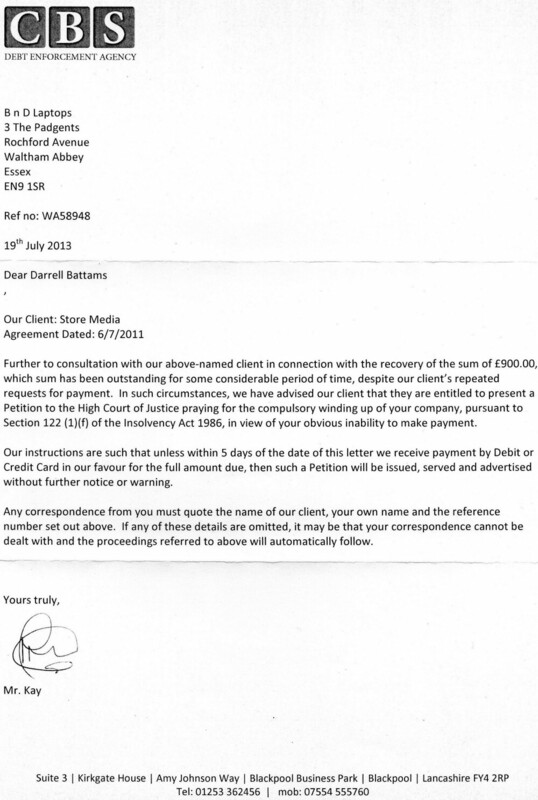 This is a recruitment firm but took the money on behalf of Store Media Plc which is Illegal. Forgot to mention aswell the name of the company i was dealing with was The Design Team with the same address and phone numbers. I work for A small business in Sheffield and we used this company for an advert at Sainsbury's in Crystal Peaks. We have paid them the initial payment and the advert has been put up but not in the position which we asked for which they told us we could have. I've tried to contact them but all numbers are dead. The first person i was dealing with was Nicola Kelly but apparently she has left the company!! Since then i've been dealing with Lee Dixon who's name i have seen mentioned on here but i cant get in touch with him. We are in a 2 year contract with them but because the ad isn't in the position we paid for is that a breach of contract on there part? and do we have to keep paying them if the aren't a legit company like the first made out? I too am having difficulties with this organisation. I have paid to have cards presented in Tesco, Edinburgh for a 2 year period. In the 4 months the cards should have been in store, I have seen them displayed only twice - I have checked on numerous occasions. Following complaints I have made, I have been told that this is a good sign, as people must be picking up all the cards. If this was the case, fantastic - but I haven't had a single response from this card dispenser in 4 months. If people are going to the trouble of picking up cards, surely some would go to the trouble of contacting my business. The last contact I had was from Steve at Vicinity Group, 20/8/13 - where promises were made to present my card. I've just received contact back from "The Daily Mirror" today who I've now sent all documents to them to date and they are looking into investigating. They seem very interested! Let's get this over with once and for all, as such companies should not be allowed to prey on small businesses in the shocking way that they do - either previously or currently. The more of us that make people aware of what has happened, the sooner we can put an end to it and hopefully get them to take some responsibility for their actions. Thank you for your email. First of all I must apologise for not getting back to you. I initially enquired about the WRT enquiry for a suitable response and failed to chase this up. I have now received the following from our Business Support team. As you may or may not be aware, we understand, from publicly available sources, that Store Media PLC entered administration on 30 July 2013, and insolvency practitioners have been appointed. The contract for advertising space is held directly with Store Media PLC (and not with Tesco directly). Store Media PLC is a third party provider to Tesco and so Tesco is in a similar situation to all other third party creditors – we are an unsecured creditor and, as with all unsecured creditors, our only recourse to Store Media PLC is through its liquidators. I know this may not help you with the situation you were unfortunately left with but it does mean we no longer have any dealings with WRT. Once again I am sorry for not getting back to you as promised. This certainly isn't typical of my level of service and I'm truly sorry for the frustration caused. I had mixed blessings with them. Told them until they re located the card holder to the front of the store I wasn't interested.....we are they said so I took out the subscription.....6 weeks later they told me they weren't moving it after all but no refund. It was up and running though within 6 weeks and tbh the business cards and leaflets were superbly designed for me and of first class quality. Couple of times they took extra money out of my account blaming it on computer error but I did get it back immediately. It wasn't a great success even though it was in an extremely large and very busy Tesco store but that was down to poor location. We too have been scammed. A company have taken over £1600 from us. We signed a contract back in Dec 2012 for it to start in January our agreement was for a stand in Sainsburys in Leeds with flyers. The stands were refilled a hand full of times but not anymore. They took our second years advertising payment this year. Its a disgrace. We can never get through to anybody on any numbers given or email address. I read in another forum that they had gone into liquidation does anybody know if this is correct. As would prob make sense to why we are getting no reply. A company may have two other trading names people should be aware of. Wow! Am I glad I found this site. Having visited my local Tesco store over the last two days to enquire about placing my business cards in their store without receiving any help what so ever due to Customer Service Manager (who deals with this) being away for the next eight weeks and no one else available to help me - I tried telephoning 0871 7897777 ( number on side of stand holding business cards of local business'. No response so I googled Windsor Associates to check I had correct telephone number. Yes I do have the correct number but very fortunately having discovered this web page whilst browsing I shall never be trying to use it again. Thank you and good luck to you all. I too have received exactly the same letter/exact wording and threats from CBS and on the same date! (I know of another 2 people who I've been emailing also that received the same on that date). I wasn't best pleased to read it and sent them a response accordingly! I'd be interested to hear how you dealt with it and any action taken by them following the threat of "Winding Up". I feel the only thing they are winding up is our patience... Are they really going to take us all down this route? Along with the obvious initial expense of a Statutory Order and then petition - they are faced with the prospect of a very expensive legal and damages claim by us all, as there are obvious disputes in this matter. Also, there is no company number as they must be a 'Sole Trader' or other entity and thus not registered with Companies House. © 2012. CBS Debt Enforcement Ageny (SIC). All rights reserved. Designed by Wrt Web Design. They conned me too...a company also trade with me with a different name: WRT Media group, probably in the hope that less people get to know about them, they keep changing business name... why does that not surprise me? They sold me an advert as well, none of the promises made to me at point of sale were kept, particularly with where the location of the card dispenser was located in store, they insured me that every single client buy from home base store, they would see the business card dispenser and the leaflets, as it will be collocated right in front of the tills, where people queue to pay... it was instead located on the right side of the exit door. Total waste of time, money! It 'may' be 'possible' that they have their own Debt Enforcement Agency now also (CBS) - Based at exactly the same address....This may of course constitute a coincidence. Hopefully this is legally acceptable! Do they also go under the name store media? I've posted before and just wondered how I can contact Admin ? a company trading as Store-media - also look up Vicinity Group, Vivo Capital LLP, Infratext, WRT Fulfilment and so the list goes on. You may also wish to speak to Wilson Field Receivers of Sheffield as they are looking into a company. On the 24th June this year HMRC had a winding-up order postponed and there are two other companies lining up behind HMRC to wind them up. I posted my experience with a company having a name of WRT on this site but it has now been taken off. I have managed to get back the £750 that was taken out of our account as it was taken by them illegaly as they did not have a signed DD mandate only a cancelled standing order. The £750 was taken out amost 2 years after we cancelled, with no contact from them whatsoever. The person in customer services was most unhelpful and told me they had every right to take the money as they had no record of us cancelling, but saying that they could not supply me with the recording of my telephone conversation either. This is not slander or defemation this is the true fact of what happened. Surely if they were in the right the bank would have not been able to refund my money, even after the bank did the full investigation they did not ask for us to re pay!!! Thanks for the response. I am slightly perplexed by your comments – engaging a solicitor surely will have led to you being advised to read thoroughly through the contract you signed. This is not consumer debt; it is commercial and subsequently not covered by the Consumer Credit Act. It states clearly, above your signature, comments made by the salesman do not constitute part of the contract. Your solicitor must have pointed this out to you? The account is seriously overdue and is subject to a default being raised which will form part of your credit file. I believe you have been pre warned by this office of the procedures. We have all the documentation we need to pursue (CO) through the courts but would prefer to remain amicable. I must inform you that this account is subject to Late Payments of Commercial Debts 1998. This includes interest and fees that are yet to be added to the outstanding account. My suggestion would be to offer to pay a reduced amount on the account; however I feel it prudent to mention that my client’s patience has run very thin. i have to put this thread on hold as i have just spoken to the solicitors and apparently i need full proof from others that have gone through similar issues - most current posts are unavailable during this time. if you wish to post anything on here it must be provable that it is the truth as you will be regarded as the publisher and you must be contactable on the post either telephone/email etc. guests posts will no longer show without contact details. Unless you are looking for advice only, any other facts or libel must be able to be proven. I added a post on the 19th February 2013 saying a company with a name of WRT had taken an unauthorised direct debit from my account; I now have an update. Avoid these like the plague!! They come in many guises - Balmoral Services - Service Link - Windsor Associates - Trinity Services - Link-a-Trade - Service Point - ADC. They are all part of WRT Group - and they are all crooks! They claim to work for TESCO, Wickes, Homebase and Sainburys. Sold me Homebase advertising saying they worked for Homebase and were looking to find trades to help keep customers from going to other big DIY stores and home improvement stores. They do not work for Homebase or any other large store - they have a concession in stores which they sell advertising for - cards or leaflets. All contracts are classed as non-cancellable - plus you dont get no cooling off period when it comes to advertising so be careful.